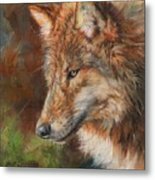 A stunning original oil painting on canvas from the studio of David Stribbling, one of the UK's leading wildlife artists and listed at Artprice, the world leader in art market information (see www.artprice.com) and also Artnet (www.artnet.com). 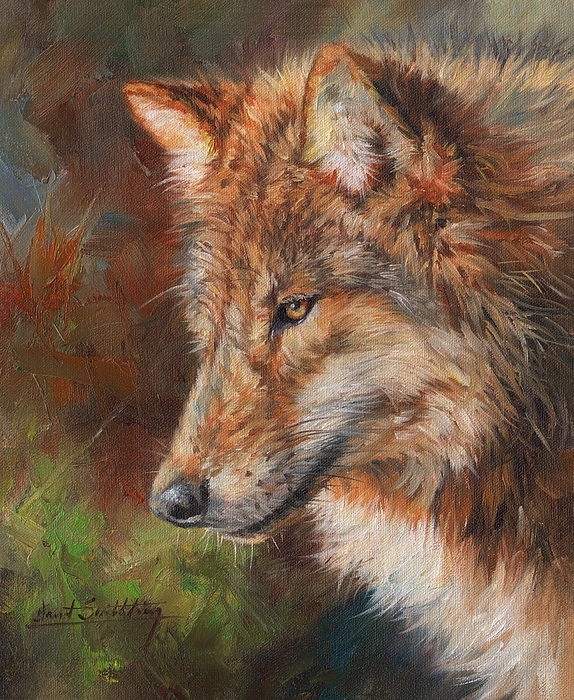 Beautifully evocative and powerful study of a grey wolf. Bold brushstrokes with exquisite detail and colour. Galleries and collectors on both sides of the Atlantic eagerly await new work by this artist, whose work has been sold through world renowned auction houses Christies (London) and Phillips (Chester). David Stribbling has been selected as a finalist for the last two years in the DSWF Wildlife Artist of the Year. His 2008 entry "Raid on Mfuwe" sold in the first ten minutes of the preview night at the Mall Galleries in London. 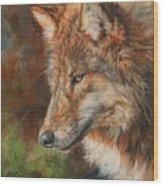 He is co-author of “Wildlife Oil Painting” with Roy and Dean Simmons available from Amazon.